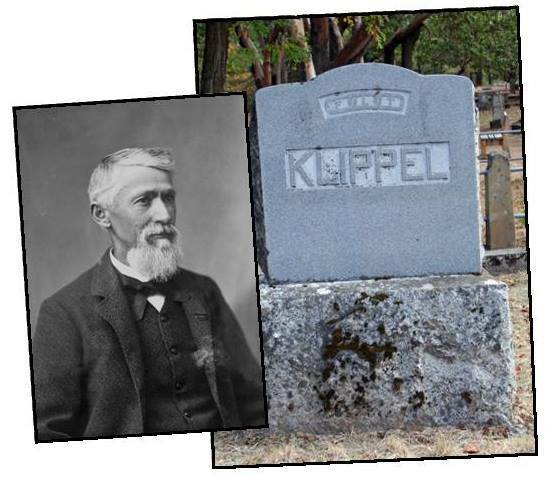 Henry Klippel | Historic Jacksonville, Inc.
German-born Henry Klippel became one of Southern Oregon’s most prominent pioneers, achieving success in mining, politics, business, and ranching. Klippel mined for gold in Jackson and Josephine counties before becoming part owner of the Gold Hill quartz mine which employed the first stamp mill in Oregon. He later became engaged in large scale hydraulic mining at Squaw Lake. When Jacksonville was incorporated in 1860, Klippel became the town’s first Recorder then President of the Board of Trustees. He was elected Jackson County Sheriff in 1870; appointed one of the commissioners for construction of the state capitol in Salem in 1874; and chaired the State Democratic Central Committee. In 1880 and 1884 he served as Jackson County Clerk. He also ran a “first class tin and stove establishment” in Jacksonville before becoming actively involved in stock raising in Lake County. Klippel died in 1901 and is buried in the Odd Fellows section of the Jacksonville Cemetery.